Illegal traders ‘collect R5 billion in cash a year, while Sars will this year alone lose R7 billion in tax revenue’ and the legal industry suffers. The Tobacco Institute of Southern Africa (Tisa) today said it wants the SA Revenue Services (Sars) to bring back custom officials to inspect cigarette manufacturing plants in South Africa, to curb industry tax evasion. 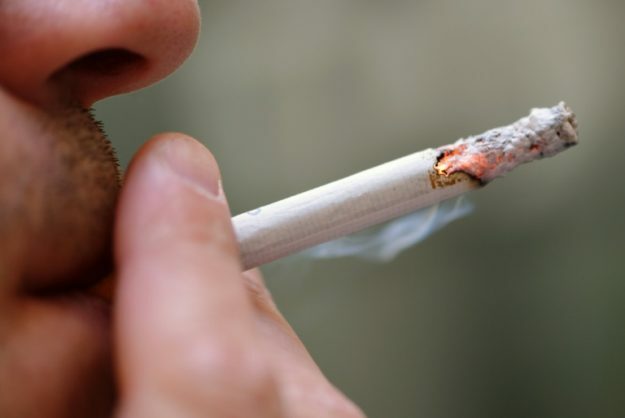 Sars should urgently act and ban all cigarette sales below R17.82 per pack, a minimum amount taxed by Sars, Tisa chairman Francois van der Merwe said following the release of an Ipsos study on the illicit tobacco trade in South Africa. ”Urgent action can be taken, and it has good intentions such as regaining the R7 billion loss to Sars caused by tax evaders in the industry. We propose that inspectors be stationed at all factories immediately that would make sure Sars revenue is collected. If Sars waits for two three years before sending out inspectors, we will not have a legal tobacco industry in the near future if this trend continues,” Van der Merwe told reporters in Johannesburg. The Ipsos study found that Gold Leaf Tobacco Company (GLTC), registered and licensed by Sars, accounts for 75 percent of the illicit cigarettes in the country. RG, a GLTC brand, is the second largest overall, sold for R10.50 per pack. Van der Merwe said illicit tobacco trading was a problem everywhere, accounting for 10 percent market share in the world. Those behind the illegal trade collect R5 billion in cash a year, set to cost Sars R7 billion in lost revenue this year only, said Van der Merwe. Tisa describes itself as an industry body for the legal tobacco sector and represents farmers, manufacturers, importers and exporters of all legal tobacco products.